We focus on musculoskeletal injuries of the upper extremities including the shoulder, elbow, wrist and hand using the most effective treatments including the latest minimally invasive procedures to help you quickly return to an active lifestyle. 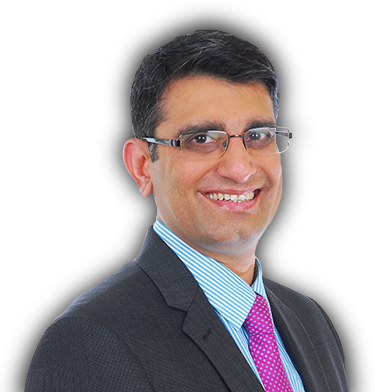 I am a fellowship trained Upper Limb Surgeon currently appointed as a Consultant Trauma & Orthopaedic Specialist at the Level 1 Trauma Center University Hospital of North Midlands, Stoke on Trent. I completed Trauma and Orthopaedic Specialist Training, Royal College of Surgeons (Edinburgh), from Leicester and London. Could you please pass on to Mr Mehta that my elbow has now fully recovered, and I’m really happy with the results. Just a few words of thank you to you and your team. You gave me a REVERSE SHOULDER REPLACEMENT and I have recovered 90% of use of my arm. I would just like to put on record, how very pleased i am with the results of my hydro distention injections. My frozen shoulder was causing me severe pain and loss of sleep. To all the staff and team involved in orthopaedics and thank you for your efficiency to all correspondence. I am thanking you so much for all the treatments I have received for my shoulder replacement operation. Thank you very much for all the help you gave me when I was under your care. I am getting on really well and may still be able to play. To Mr. Mehta and Team, thank you for mending my arm! The treatment given to me by Mr. Mehta has completely taken away the pain in my hand. My treatment has been first class! Very glad I came to Rowley Hall, very satisfied with treatment received. Wonderful doctor Mr. Mehta.